When it comes to cancer, early detection often leads to better outcomes. That means that the more often and more thoroughly you screen for cancer, the better, right? 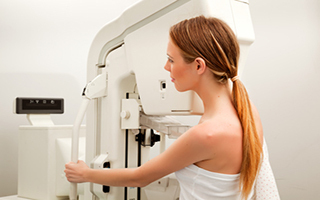 When it comes to mammograms , many experts are beginning to say that's not necessarily true. It's true that improvements in mammographic technology and the increased rate at which women are getting screened are leading to the discovery of more small cancers. But is this actually saving lives? Is it even a good thing? The answer to that question might surprise you. To investigate whether or not finding small otherwise non-detectable breast cancers saves lives, researchers dug into a tremendous amount of data: records from 16 million women ages 40 and older who received breast cancer screenings in 2000. A total of 53,207 women received a breast cancer diagnosis and had their progress tracked until December 2010. Although the screenings turned up a 16% increase in cancers being found, the death rate from breast cancer didn't change. Let me repeat that. Even though they found many tumors that would otherwise never have been found, it did not save any lives. While 25% more small tumors were discovered, increased screenings detected only 7% more large tumors, the ones that are more likely to be dangerous. And according to Joann Elmore, a professor of medicine at the University of Washington, finding and treating these undetectable tumors can be harmful. She says, "Treatment of an overdiagnosed tumor cannot provide benefit, but it can lead to harm. Overdiagnosis and overtreatment are now widely acknowledged to be an important harm of medical practice, including cancer screening." The increase of mammograms often detects precancerous abnormalities that may or may not turn into cancer down the road. 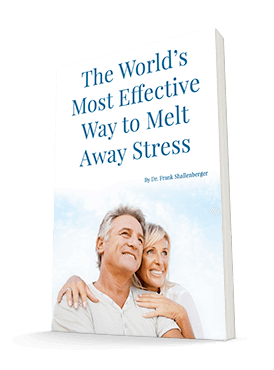 But deciding how to address them can have high physical, mental, emotional, and financial costs. Even waiting on the results of a mammogram can be stressful and take an unnecessary toll on women. The researchers, who published their study in JAMA Internal Medicine, concluded, "As is the case with screening in general, the balance of benefits and harms is likely to be most favorable when screening is directed to those at high risk, provided neither too frequently nor too rarely, and sometimes followed by watchful waiting instead of immediate active treatment." Of course, finding that balance between "neither too frequently nor too rarely" is elusive. But this research suggests that if you're in good health and don't have a past history of breast cancer, you are better off just checking yourself with an annual thermography, self examinations every month, and a doctor examination once a year. You can read all about breast thermography on my website. It's much more comfortable than mammograms, doesn't involve radiation or breast compression, finds the inflammation that can lead to cancer before it develops, and does not have the dangers that this study points out about mammograms.